After last week’s Gamescom, this week was notably a bit more subdued on the news front. That said here were the biggest stories of the week. This week really marked the end of the summer lulls with what I would consider the first major release of the season with the repackaging of Diablo III. 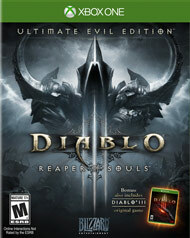 The Ultimate Evil edition comes with the base game as well as the Reaper of Souls expansion, and also marks the game’s debut on current-gen consoles. To that effect, reports surfaced this week that Microsoft had told Blizzard/Activision that 900p as a resolution was unacceptable, and as a result they figured a way to bump it up to 1080p on the Xbox One. It has been a pretty rough summer for developers. This week, Infamous developer Sucker Punch Studios announced layoffs. Sucker Punch just released a pretty expansive DLC for Infamous 2: Second Son at the beginning of the month. We’ll have to see what is in store for the studio in the future. The Behemoth, the team behind awesome games like Castle Crashers and Battleblock Theater announced Game 4 this week. The debut trailer definitely uses the trademark Behemoth style of humor and art style. It’s difficult to say exactly what the game will be like, but it will be playable at PAX Prime next week. At Gamescom, Microsoft announced that the Xbox One would begin supporting digital pre-ordering and pre-downloading. While pre-ordering is still a bit away, pre-downloading is here, sort of. Starting with Madden ’15 next week, players can download the game early to start playing right at midnight, but this is still limited to specific titles – for example there’s no word about it for FIFA ’15 or NHL ’15 which also come out next week.